(24) 2 1/2" strips in the colors we see in Sedona - rusts, reds, greens and a bit of purple. 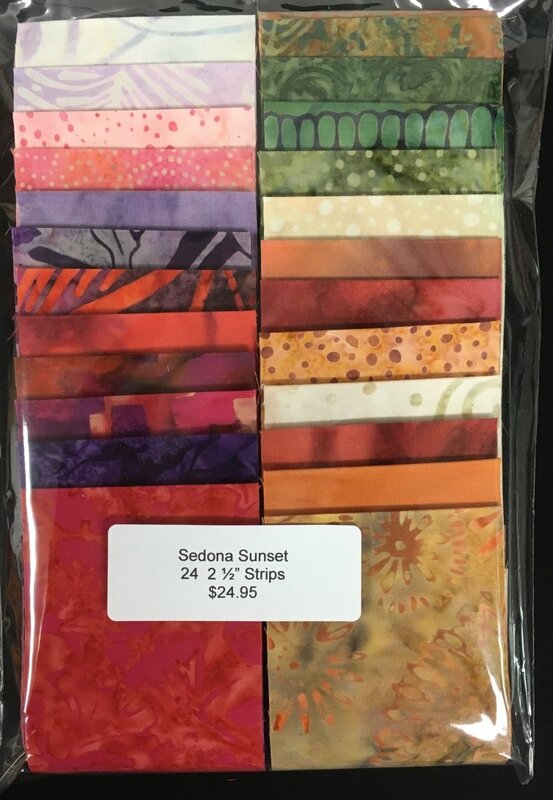 These are made by Quilter's Store Sedona. Fabrics may vary from the ones shown. We are located on 89A just 3 miles west of the double roundabouts where 89A and 179 meet.